I may be biased because I am a huge Zimmer fan, but this is a great soundtrack. 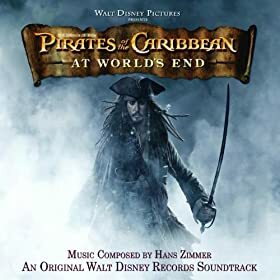 Zimmer has gone above and beyond what you would expect for a dark pirate’s tale, there’s a quirkiness that perfectly matches the lead character Jack Sparrow but is done in quite a seamless way. Mainly great spooky, battle, and dramatic tracks. My favorite tracks are “Hoist the Colors”, “Multiple Jacks”, and “Parlay”.